Detailed day-by-day horse racing reports and information on the Longchamp Arc Weekend, available from Geegeez. Read about the horses, races and events here. I headed west on the subterranean rattler last evening for a gathering of the London Racing Club at the Kensington Forum, Gloucester Road. There, a panel hosted by Racing Post's Sam Lawrie and comprising of Adrian Beaumont (International Racing Bureau), Nick Smith (Director of Racing, Ascot), and Nicola McGeady (Ladbrokes PR), offered thoughts and comments on the racing at Chantilly this weekend as well as events further into the future at Ascot and in Melbourne. All were somewhat hamstrung by having to project without knowing which horses will actually run (deadline for Sunday declarations is today), so do keep that in mind in the light (my fault, not the panel's) but interesting (the panel's fault, not mine) notes which follow. NM: In the absence of Big Orange, this looks a home banker for Vazirabad. He's 8/13 in places now, but could be closer to 1/3 by the weekend. If shorties are your thing, there's plenty of value in his price. AB: Robin Of Navan is nap material. He's a Chantilly specialist who was beaten only four lengths by Ribchester last time. That form is good enough to win this. Ten furlongs, the Dollar range, is his trip. AB: Taareef may be 4/6 but he looks a good thing. He's beaten all the decent horses in France this year barring a sub-par effort in the Jacques le Marois. AB: Off a long time prior to a solid prep in a Group 2 in August, The Juliet Rose can make a bold bid to follow up on last year's win in the race. NS: The Aidan O'Brien choice in the race will be of obvious interest. That could be September, and she'd have a definite chance. NM: Polydream will be favourite for the French, regardless of what AOB runs. She is unbeaten in two and looks tough to beat on her Calvados win. SL: Scott Burton (RP's French correspondent) likes Olmedo a lot. He's 7/1. AB: Olmedo ran well on soft ground when just failing to reel in Charlie Appleby's Stage Magic last time. Looks a value price, may go off favourite on PMU. Also, if he runs here, Beckford has really good form in the book and 10/1 offers e/w appeal. NS: Masar has an obvious chance after a clear cut win in the Solario Stakes last time. NM: Ladbrokes' traders also like Masar and want to keep it onside. NS: AOB was very open about Winter being under-cooked ahead of the Matron Stakes last time, and they were really pleased with how she ran there. She may as well go for the Arc, but if running here she'd have a mighty chance. If she does go to the Arc, Hydrangea becomes of interest. She's been thereabouts in G1's all season and deserved her Matron Stakes success last time. NM: Onthemoonagain is a sporting each way suggestion at around 14/1. She's been steadily improving since falling in the French Oaks and might surprise. AB: The German filly, Lacazar, is under-rated at a general 12/1. Trained by Peter Schiergen, she's won her last four, including a hands and heels win in the German Oaks, where Wuheida was five lengths back in third. She loves the mud, so if the rain does come, she's a solid chance. NM: Much talk of this being between the two British runners, but Signs Of Blessing has home advantage, loves soft ground and looks value against the top of the market. NS: Battaash is better than Marsha, but he's also more quirky. Signs Of Blessing has had this as his target whereas the others have kind of 'fallen in' here. Would personally have him as favourite. AB: Ignore Signs Of Blessing form outside of France. He's a notoriously poor traveller, and has a great chance in this. Surprised he's not favourite. The Prix de Saint-Georges form from earlier in the season (SoB won) is probably the standout piece of form in the race. There he gave Profitable 11lb and a beating. NM: Aclaim is 4/1 and was taking at Doncaster and was taking at Doncaster when he won the Group 2 Park Stakes. He comes here fresh and goes on any ground so ought to be a player. There has been money for Karar and he's into 8/1. AB: Inns Of Court, trained by Andre Fabre, is progressive. Only three, he won a G3 in July, and was a short head second in the Jacques Le Marois before disappointing a little in the Prix du Moulin. Just about top on ratings and 7/1 is a nice price about his chance. Thanks a million to the panel for their time, and of course, to Kate and all of the team at London Racing Club, who always put on a great show. p.s. Take a gander at this if you're looking for an Arc preview. Saturday’s first day of the Arc meeting stages four Group 2 contests with the Group 1 Prix du Cadran run over 4100 metres (2m4 1/2f) the main attraction, writes Nigel Howard. This is the French equivalent of the Gold Cup at Royal Ascot and has unsurprisingly attracted a classy group of stayers. VAZIRABAD is the hot favourite after his victory in the Prix Gladiateur on Arc Trials Day. The Aga Khan’s gelding tackles this distance for the first time but trainer Alain de Royer-Dupré wasn’t concerned, stating after that race, “The further he goes the better so the extra half mile of the Cadran won’t be a problem. He has a tendency to stop when he gets to the front so he needs to come late. He has a great turn of foot”. Last year’s surprise winner MILLE ET MILLE ran a cracking race in the Ascot Gold Cup but hasn’t shown that level of form in two runs since. They were both over an inadequate two miles, however, and he is sure to appreciate the extra distance here. NAHUAL pushed VAZIRABAD all the way to the line in the Gladiateur and he looks an interesting each way chance. For the Brits, Roger Charlton will be hopeful of a bold show from QUEST FOR MORE who has been in excellent form this term, winning the Group 2 Lonsdale Cup over two miles at York’s Ebor meeting before going down by a nose in the Doncaster Cup. Equally, NEARLY CAUGHT, trained by Hughie Morrison, must have strong claims after he won the Group 2 Prix Kergorlay at Deauville (1m7f) in August beating a number of his Cadran rivals. The extra distance is again an unknown for the son of New Approach but the prevailing good ground can help his cause. A great race in prospect then with a bold display from the British contingent looking assured. However, this race seems tailor made for VAZIRABAD who has had the Cadran as his main target all year. The Prix de l'Abbaye is France’s annual gift to British racing with the home nation having only tasted victory in the race twice since the turn of the millennium. It looks more than likely that Les Francais will have to wait at least another 12 months to add to that tally as the betting for this year’s event is again dominated by British based horses. Indeed, there are only three French runners in the line-up of seventeen. Heading the market is MECCA'S ANGEL, who was last seen powering to a two-length victory over Limato in the Nunthorpe at York’s Ebor festival. She was denied a run in this race last year because of unsuitably fast conditions but Michael Dods’ mare looks almost guaranteed to take her chance this time around with the ground expected to be no faster than good. Last year’s winner GOLDREAM was seventh in that contest and completed his preparation for this year’s race when finishing third behind JUST GLAMOROUS and MARSHA at Chantilly in the Prix Petit Couvert on Arc Trials day. JUST GLAMOROUS was a shock winner of that race but there was little to suggest it was a fluke as French champion jockey, Pierre-Charles Boudot, broke smartly aboard Ron Harris’ charge to take the lead and record a decisive pillar-to-post victory, three lengths clear of race favourite MARSHA. Clive Cox has had a year to remember with My Dream Boat and PROFITABLE both lifting Group 1 prizes at the Royal meeting. The latter picked up the King's Stand Stakes over five furlongs but most recently couldn’t live with Mecca’s Angel at York. He might just be feeling the effects of a tough season but still he cannot be confidently ruled out. Of course a Group 1 contest wouldn’t be the same without a runner from the Coolmore team and WASHINGTON DC bounced back from a poor run at York to finish second in a Group 2 in Ireland last time. This son of Zoffany is obviously well regarded and is another with a squeak. The only juvenile in the race, ARDAD, heralds from the mighty stable of John Gosden. He receives a stone from the older horses and bids to become the first two-year-old to win this event since Sigy, trained by Criquette Head, back in 1978. Of the French contingent, there is little doubt that FINSBURY SQUARE is talented but he is a difficult ride and this big field is unlikely to suit him. SON CESIO is trained by Henri-Alex Pentall who has a good record with his sprinters and he is likely to be the best chance of domestic victory. MECCA’S ANGEL is the one to beat in the Abbaye, however. Her York run showed she is right back to her best. JUST GLAMOROUS was a revelation at this track last time and has to be respected whilst PROFITABLE is a Group 1 performer on his day and cannot be overlooked either. The Prix de la Foret is the only Group 1 event over seven furlongs in the European racing calendar. This year’s renewal looks like an ideal opportunity for LIMATO to strut his stuff over what is arguably his optimum trip. The only chink in his armour would be ground softer than he prefers and in such circumstances he is vulnerable. JIMMY TWO TIMES, trained by Andre Fabre, ran his best race to date in the Group 1 Prix Maurice de Gheest last time at Deauville over 1300 metres (6 1/2 furlongs): running on well in the final furlong to secure third place behind Signs of Blessing. This extra half furlong looks ideal and he is expected to go well. SPECTRE has been in great form all season and her second behind Vadamos in the Group 1 Prix du Moulin was another example of her talents. She is also likely to appreciate this trip and should go close. TRIXA ran well below her best behind SPECTRE in the Moulin. However, Alain de Royer-Dupre rates the filly and expects her to bounce back to her best on Sunday. The Foret is a fascinating race in prospect as LIMATO will have to be at the top of his game to beat off a talented bunch of French horses. JIMMY TWO TIMES and SPECTRE look most likely to push him all the way to the line. The Arc is finally upon us and an epic weekend of championship racing awaits, writes Nigel Howard. This year’s event, and next year's too, will be held for the first time at the picturesque Hippodrome de Chantilly whilst Longchamp undergoes its 30-million-euro facelift. Sixteen go to post for the 95th running of the Prix de L’Arc de Triomphe on Sunday, the greatest flat race of the season for middle-distance performers from around the globe. POSTPONED has dominated the ante-post market for the race from the moment he stormed to victory in the Group 1 Dubai Sheema Classic back in March. He has since continued his winning ways with a very impressive victory in the Coronation Cup at Epsom on Derby Day, beating FOUND by five lengths, and then ran out a comfortable winner of the Juddmonte International at York in August. With so much ammunition at his disposal, Aidan O’Brien has finally whittled down this year’s assault on Europe’s finest race to just three and they are headed by Breeders Cup Turf winner FOUND. She was obviously not at her best when thrashed by POSTPONED at Epsom in June and encountered softer ground than ideal when second to My Dream Boat in the Prince of Wales's Stakes at Ascot. After a break she ran a fine race in the Yorkshire Oaks before producing her best form this term when finishing second behind French Derby winner Almanzor in the hottest race of the year so far, the Irish Champion Stakes at Leopardstown. That surely represents the best form on offer here, from arguably the best recent trial race, and the daughter of Galileo comes into the Arc at the top of her game. Her 2015 Keeneland victory over last year's Arc winner, Golden Horn, proves she can win over the classic trip and with stable jockey Ryan Moore in the irons she has to be in with a great chance. The Coolmore trio is completed by Gold Cup winner ORDER OF ST GEORGE and King George VI And Queen Elizabeth Stakes hero HIGHLAND REEL. Westerner was the last Gold Cup winner to attempt the double when he put in an inspired effort behind Hurricane Run back in 2005 to finish second. That was a major surprise however and the feeling is that ORDER OF ST GEORGE will do well to emulate his illustrious counterpart, although he is sure to be a popular choice with punters since Frankie Dettori has been booked to ride. Equally, HIGHLAND REEL won his Ascot showpiece in fine fashion but the form of that race has not worked out and his recent run down the field in the Irish Champion Stakes does nothing to suggest he's capable of repelling all, even though he will probably have a front-running first mover tactical advantage in this big field. Staying with the Irish contingent, HARZAND tasted defeat for only the second time in his career when he also disappointed behind Almanzor in the Irish Champion Stakes. However, the son of Sea The Stars had legitimate excuses as he was found to be sore after the race. So, while that outing can be logically ignored, the likelihood of fast ground is a major question mark about his ability to produce a peak showing. Harzand's handler, Dermot Weld, reports him to be training well and the super tough dual-Derby winner should go close if he is over his ailment and if rains sweeps through north of Paris. The return to the classic trip is expected to be in his favour. 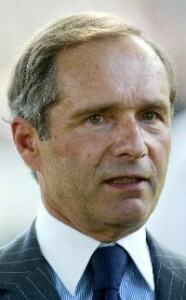 Andre Fabre has trained seven winners of this great race, the last of them being the Khalid Abdullah-owned Rail Link who famously beat Japanese wonder horse, Deep Impact, in 2006. His representative this year is NEW BAY, who finished an excellent third in last year's Arc behind Golden Horn and stable companion Flintshire. After a disappointing seasonal reappearance behind A Shin Hikari in the Prix d’Ispahan, the Dubawi colt returned to action after a long layoff to win a Group 3 event at Deauville in August. He was then a promising fourth in that potential kingmaker race, the Irish Champion Stakes. Prince Abdullah's racing manager, Teddy Grimthorpe, stated "We were very pleased with New Bay and it was really his first proper race of the year. He has come out of it really well, he looks great and has been training really well”. Fabre’s stable was under a bit of a cloud over the summer but his horses are now showing renewed zest and that run in Ireland was by far NEW BAY’s best effort this season. He is a lively contender. For many, Arc Trials day did little to clarify the big race picture. The main attraction of the meeting was the reappearance of Japanese Derby winner MAKAHIKI in the Group 3 Prix Niel. In the event, he failed to impress with a narrow victory over Midterm, who was returning from a back injury, and Doha Dream, a recent listed race winner. His pilot, top French jockey Christophe-Patrice Lemaire, was upbeat after the race, insisting that son of Deep Impact needed the run and that he never does more than he has to in a race. However, it is perhaps a sign that neither of the horses he beat is considered good enough by connections to make the big race line-up and although MAKAHIKI is respected, his current odds of 6-1 look on the low side, even allowing for the likely depression in PMU odds by swathes of adoring Japanese fans at Chantilly. SILVERWAVE deserves his place in the race after a solid performance in the Prix Foy. His trainer, Pascal Bary, has yet to lift this coveted prize but came very close when Sulamani just failed to catch Marienbard in 2002. The trainer has been quite bullish about his charge and clearly rates his chances, stating, “SILVERWAVE is your typical Arc horse; he stays the distance, he travels well and he has class”. Christophe Soumillon has been booked to do the steering and he could spring a surprise. The last filly to complete the Prix Vermeille/Arc double in their classic year was superstar Treve three years ago. This year, that challenge has been given to LEFT HAND after her assured win in the Vermeille, where she beat Godolphin’s mare, Endless Time. The daughter of Dubawi was no match for La Cressonnière when beaten into second in the Prix de Diane back in June. However, her handler, Carlos Laffon-Parias, is convinced that she has improved considerably since then and with the very favourable weight allowance she receives over older horses, she has a sporting chance. Danedream won this race for Germany back in 2011 and their representative, SAVOIR VIVRE, gets a mention after he ran with real credit in France last time to take the Grand Prix de Deauville, beating SILJAN’S SAGA. That was only his fifth career start after finishing second on his previous run in the German Derby. Owner Baron von Ullman has had some classy animals in his time with the likes of Shirocco, Manduro and top sire, Monsun. He would prefer softer ground but the fact that connections are running catches the eye. It is great that POSTPONED has finally made it to the big day after missing out last year and having carried the burden of being ante-post favourite for this race all season. FOUND is clearly back to her very best as her performance in Ireland proved and her current price of 7-1 looks generous. However, I believe NEW BAY (12-1) represents the best value in the race and he has an outstanding each way chance. His masterful trainer looks to have timed things to perfection and the return to twelve furlongs looks certain to suit last year’s French Derby winner and Arc third. With POSTPONED such a short priced favourite, there is plenty more each-way value to be had. Top of that list could be LEFT HAND (16-1), SILVERWAVE (20-1) or SAVOIR VIVRE at a whopping 33’s. Whilst Royal Ascot claims the international racing headlines this week, France prepares for its own version of the Royal Meeting when it stages the 167th running of the Prix de Diane on Sunday at Chantilly, writes Nigel Howard. This spectacular meeting is the one time in the racing calendar when the French manage to embrace everything the sport has to offer. With the weather set to be fine, the place will be awash with picnickers in their fancy hats and summer finery, watching the female classic generation strutting their stuff on the track. Run over 2100 meters (1m2½f), this year’s renewal will see sixteen runners go to post from four different nations. The Directeur du l’Hippodrome, Mathieu Vincent, predicts some rain over the next couple of days but is hoping for good or good-to-soft ground come race day. With Jean-Claude Rouget carrying all before him in this year’s Classics, it will come as no surprise to find that he once again holds the strongest hand for the home team. He fields three, including LA CRESSONNIERE, already a Classic winner thanks to her pillar-to-post victory in the Prix d’Essai des Pouliches at Deauville in May. That was a brave performance and she remains unbeaten. By La Havre, who has already sired a winner of this race in the form of Avenir Certain in 2014, out of a Galileo mare, it is possible that she will improve again for this step up in trip. Add to this her indifference to underfoot conditions and it becomes perfectly clear why she is one of the market leaders. Her part-owner Gérard Augustin-Normand remains supremely confident after he saw his Almanzor stride to victory in the French Derby two weeks ago. She has obvious claims. The Pau-based handler also fields the very likable JEMAYEL who bounced right back to her best in the Normandy sunshine when she landed the Group 1 Prix Saint-Alary at Deauville earlier in the month. That 1m2f contest saw her defeat CAMPROCK, who re-opposes and who was favourite on the day. The daughter of Myboycharlie, trained by Mme Pia Brandt, was previously unbeaten, yet all her victories were achieved on a softer surface. It is likely that she did not appreciate hearing her hooves rattle at Deauville and indeed the trainer confirmed, stating that any juice in the turf would be to her advantage. She stays and is a lively contender, especially if the heavens open before Sunday. JEMAYEL meanwhile, a daughter of Lope de Vega, must also enter calculations. She too has proven her stamina but would seem to prefer good ground to show her best. Rouget’s third candidate, ZGHORTA DANCE, is another daughter of Le Havre and she won the Group 3 Prix Vanteaux at this track at the end of May. Although she is obviously improving, on her previous start she was beaten by Magnanimem, a horse that could manage only fifth in the Prix Saint-Alary behind both JEMAYEL and CAMPROCK. On paper, therefore, she doesn’t look good enough. Of twenty supplementary entries made over the last twenty-three years only two have converted, namely Valyra for the Aga Khan in 2012 and West Wind in the famous claret colours of Sheikh Mohammed in 2007. This year, two fillies have been supplemented - VOLTA for François-Henri Graffard and HIGHLANDS QUEEN for Yohann Gourraud. The former was last seen bolting up over a mile in the Group 2 Prix de Sandringham here on Derby day. She took that event by four lengths and is clearly smart. Having stumped up the supplementary entry fee of €60,000, connections will be hoping that she can see out the extra two-and-a-half furlongs of this classic contest, although, being a daughter of speedy Siyouni, there must be some doubts. Stamina issues are of little concern for HIGHLANDS QUEEN, who, on only her third career start, ran out a comfortable winner of the Group 3 Prix Cléopatre at Saint Cloud at the end of May. For her young trainer, ex-jockey Yohann Gourraud, this will be a first runner at Group 1 level and he has reported the daughter of Mount Nelson to be at the top of her game after she worked on the gallops at Chantilly on Tuesday. She remains relatively unexposed and the booking of William Buick catches the eye. She could go close. Nicolas Clement, perhaps best known for training Saumarez to win the Arc in 1990, presents THE JULIET ROSE. This daughter of Monsun showed off her staying qualities with a pillar-to-post victory in the Group 3 PRIX DE ROYAUMONT over 1m4f at this track on Jockey Club day. She is therefore being asked to drop back in distance and her preference for being up with the pace suggests she will attempt to make this a true test of stamina. She is not without a chance and may make the frame. ARMANDE finished third in that race and although the daughter of Sea The Stars didn’t get the clearest of runs, the feeling is that Andre Fabre will have to wait at least another year before lifting his fifth Prix de Diane trophy. As talented a bunch of fillies as the home team might represent, this year’s race risks being dominated by a formidable challenge from across La Manche. John Gosden, winner of the race last year with Star of Seville, must have enjoyed watching Even Song romp home in the Group 2 Ribblesdale Stakes at Royal Ascot on Thursday as his representative, SWISS RANGE, had that filly five lengths back in third when she easily landed the Listed Pretty Polly Stakes at Newmarket in May. After that victory, Gosden immediately named the Diane as her primary target and with Frankie Dettori in the irons the daughter of Zamindar has an outstanding chance. Aiden O’Brian has yet to lift this French classic but he must be more than hopeful as he fields both BALLYDOYLE and COOLMORE, two daughters of the remarkable stallion, Galileo. BALLYDOYLE comes into the race on the back of a fine run in the English 1000 Guineas, beaten only three and a half lengths by the mighty Minding. She is already a Group 1 winner here in France having triumphed as a juvenile in the Prix Marcel Boussac over a mile at Longchamp on Arc day. She tackles this trip for the first time but her breeding suggests that she will have little trouble staying the extra two-and-half furlongs required here. COOLMORE would seem to be well held on current form and has no doubt been declared to ensure a truly run race for her more fancied stable companion. With a large field of unexposed fillies lining up for this Classic contest, there is every hope that a new equine star will be unveiled on Sunday. The feeling is that BALLYDOYLE is the horse to beat having already shown her wellbeing this year in the English Guineas and that this step up in trip will be very much up her street. 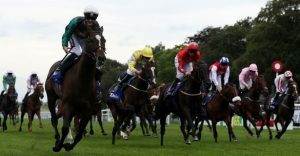 It is equally hard not be impressed by the way SWISS RANGE won at Newmarket and the form of that race was clearly franked by the performance of Even Song at Royal Ascot on Thursday. LA CRESSONNIERE is the obvious choice from the home team and as she carries an unbeaten record into the race her limits are still unknown. She too must have a fine chance. Sadly, none of the above represent great value and perhaps a more sporting alternative would be the unexposed HIGHLANDS QUEEN who has won her last two starts with ease. With such a sumptuous card on Arc day, Saturday’s meeting generally gets overlooked; but in the context of any normal weekend of racing it would surely enjoy headlines on its own merits, writes Nigel Howard. Four Group 2 events offering in excess of half a million euro in prize money, represent a pretty tasty starter before the main course is served up the following day. The pick of the Group 2’s looks to be the Prix Dollar which, at first glance, appears to be a simple rematch between CIRRUS DES AIGLES and FRACTIONAL who fought out a desperate finish in last year’s contest. Corine Barande Barbe’s old friend pipped FRACTIONAL to the post but then lost the race in the steward’s room where he was found guilty of bumping the Godolphin horse in the final furlong. The evergreen nine year old gelding has already won this race three times and it would be the story of the day if he managed to lift this prize once again. Whilst Father Time has been kind to the old boy thus far, he might finally be catching up with him as his last two performances have been poor, most recently when a distant seventh of seven behind Golden Horn at Leopardstown in the Irish Champion Stakes last month. Before that, he finished last of four behind Solow in the Prix d'Ispahan (Group 1) here back in May. FRACTIONAL, also a gelding, looked to be back to his best when he easily took the Group 3 Prix Messidor over the straight mile at Maison-Laffitte in July and was sent off the short priced favourite to follow up that win in a Deauville Group 3 on heavy ground over 1m2f. However, he was never up to the task and ran a lacklustre race, eventually finishing fifth. Two of his rivals that day re-oppose in the shape of the Freddie Head trained FREE PORT LUX and Andre Fabre’s ELLIPTIQUE. The former ran with credit at Deauville finishing second but has since finished a distant fifth to Postponed in the Prix Foy on Arc Trials day. ELLIPTIQUE disappointed at Deauville after her famous win in the Group 3 Grand Prix de Vichy in July which crowned her rider, Amelie Foulon, the first female jockey to win a Group race in France. Both appear to be better than their most recent runs suggest and shouldn’t be lightly overlooked. AL WAAB makes a quick reappearance after finishing second behind Gailo Chop in La Coupe de Maison-Laffitte (Group 3, 1m2f). He’s had a good season but doesn’t really appeal in this hot contest. Of much more interest is ZIPZIP who won the Listed Prix de Boulogne under Franck Blondel at this track last month. That was a fourth win on the bounce and a fifth win this year for the Whipper gelding. He showed a lightning turn of foot to go from last to first up the straight to win by a short head. Eoghan O’Neill, his trainer, commented “We were really pleased with his performance and he’s an exciting prospect for his up-and-coming races”. Crossing the channel is the Charlie Appleby trained/Godolphin owned FRENCH NAVY. He hasn’t been seen since he notched up a four-timer in the Earl of Sefton Stakes (Group 3) at Newmarket back in April. This Shamardal entire, now seven, was originally trained in France as a two year old by Andre Fabre. His Newmarket exploits give him a solid chance based on the achievements of Arod this season, the horse he defeated there. Lack of a recent run is less of a concern, as he goes very well fresh. Ralph Beckett also crosses La Manche with an interesting contender in AIR PILOT. He won a Group 3 back in June at the Curragh and, again, his lack of a recent outing is mitigated by a similar layoff prior to a win this time last year. This is a tricky race to call with many of the contenders coming into the race either on the back of poor runs or layoffs. Obviously, a fit and well CIRRUS DES AIGLES would be top of the list and even though he comes here on a sub-par run of form, he has bounced back in the past. Longchamp is his stomping ground and he looks likely to run well on the day. However, I think that the race could be set up for ZIPZIP. Eoghan O’Neill is having his best year as a trainer since moving to France and obviously holds this horse in high regard. Although this is a big step up in class, he’s in great form and I expect a good price on the PMU as the Godolphin horses will be coupled in the betting and CIRRUS DES AIGLES will be heavily backed by his adoring fans, irrespective of his chances. The Prix Daniel Wildenstein (Group 2) over a mile has been won by some decent animals in the past. Arazi, who famously landed the Breeder’s Cup Juvenile at Churchill Downs in unbelievable fashion, won this race in 1992 after a disappointing three year old campaign, whilst Domedriver took the spoils on his way to Breeders’ Cup Mile glory in 2002. Six are declared for this Group 2 with Miss France, last year’s 1000 Guineas heroine, a possible to run at Newmarket in the Sun Chariot Stakes on the same day. She ran a sound race on her return last time after a very long layoff. If she were to run here she has obvious claims. Without Miss France, the race looks wide open and the Wertheimer & Frere owned IMPASSABLE is a lively contender. Trained by Carlos Laffon-Parias, this daughter of Invincible Spirit has shown progressive form and already has a Group 2 event under the saddle when she took the Prix de Sandringham at Chantilly on French Derby day back in June. She has not been seen since, but the manner of her victory really impressed and she looks to have further scope. Les Freres are doubly represented in this event and their other runner SONNERIE is no slouch either. She beat Miss France in her return race in September and Freddie Head, her trainer, was impressed. The all-conquering John Gosden has declared JOHNNY BARNES, who took a Group 3 contest in the Deauville mud in August. He won that well, but Frankie, who was in the saddle that day, stressed that soft ground was a must for the horse and therefore the drying Longchamp turf would be a concern. Carrying the colours of the Wildenstein Family is the probable replacement favourite for Miss France, AKATEA. This likeable daughter of Shamardal ran her best race to date when an excellent second to French 1000 Guineas winner Ervedya in the Prix du Moulin on Arc Trials day. She had no answer to the winner’s classy burst of speed but kept Breeders’ Cup Mile hero Karakontie back in third. She will be a worthy favourite but all her best form is on very soft ground and for that reason I would oppose her with IMPASSABLE who looks to be a class act and has form on a sound surface. The richest race on the card is the Qatar Prix de Royallieu run over 2500 meters (1m 4 1/2f) with potentially eight going to post. Prix Vermeille second CANDARLIYA returns and all eyes will be focused on how she fares having finished a full six lengths shy of history-seeking Treve. Alain de Royer-Dupré, her handler, spoke frankly before the Vermeille stating he didn’t really expect his charge to trouble the super mare and was running for a place. She duly obliged, holding onto second in a close finish with Yorkshire Oaks third Sea Calisi. That was still a solid performance and she looks the one to beat. Her main challenger should be John Gosden’s MARTLET. This daughter of Dansili only has five runs under the saddle, the most recent of those being a listed race win at York in August. She will appreciate the drying ground and should run well. MARYPOP looks a nice type and is improving with every run. A daughter of Layman, she finished second in a Listed event at Longchamp in September and looks the best of the rest. However, the real interest in this race remains the performance of CANDARLIYA. A good show on Saturday will set the Treve fans alight. Opening the meeting is the Group 2 Qatar Prix Chaudenay run over 3000 metres (1m7f). Again, the Aga Khan looks to have the main contender in the shape of VAZIRABAD. This son of Manduro took the Prix de Lutece (Group 3) last time with BIG BLUE a length and a half back in second and GAIUS CAESAR further back in fifth. Both re-oppose on Saturday but with no obvious excuses for either, VAZIRABAD would be expected to confirm his superiority over them again. Of more interest, therefore, is the English challenger THE TWISLER. The Motivator colt, trained by Jane Chapple-Hyam, is in really good heart at present taking the Listed MARCH STAKES at Goodwood (1m6f) at the end of August. This is a step up on that Listed form but he seems to be improving and could be the most likely contender to push VAZIRABAD to the line. Sunday sees the 94th running of the Prix de l'Arc de Triomphe, Europe's flagship middle distance event. And one horse will achieve immortality if she can win an unprecedented third Arc crown. Treve, the mare in question, has already taken her seat in the rarefied company of dual Arc winners Ribot, Alleged and just four others stretching back to Ksar in 1921/2. Ribot and Alleged, colts both, were retired to stud without attempting the hat-trick; ditto Tantieme (1950/1). We have to go all the way back to Corrida in 1936/7 to find the last dual winner to run in three Arcs, but this mare also did not run after winning her second. Rather, she'd been beaten into third in the race in 1935, prior to back-to-back wins. She's no bigger than even money to step into the Pantheon, and most firms have her as more likely than unlikely (i.e. odds on) to do that. But is that a fair reflection of her chance? Further, is she value at those odds? Her career has been one of rags to riches to rags to riches. Led out unsold at a meagre €22,000 from the Arqana October yearling sales in 2011, she ran just once at two, winning a mile maiden for unraced fillies in good style. From there, her ascent to the summit was rapid: she raced four times as a three-year-old, dotting up in an early season conditions race before pulverizing her field in the Prix de Diane (French Oaks) on only her third racecourse appearance. She won by four lengths from Chicquita, herself good enough to win the Irish Oaks on her next start. But it was the electric burst she showed to put the prize beyond her rivals that set the pulse racing. Indeed, this humble scribe rushed for the best Arc price he could get directly after that performance, Victor's 14/1 being taken for all too few shekels (as is always the case with winners, whereas losers are perennially overbet, of course). Treve had three months off after the Diane, before warming up for her Arc tilt with a bloodless verdict in the Group 1 Prix Vermeille over the Arc course and distance. Three weeks later she sauntered to a five length demolition of a full field of top class aspirants. But what made that performance even more meritorious was that she was drawn in the car park (15 of 17 in a race where wide draws generally struggle), and moreover that she pulled very hard in the early part of the contest. That day she was, quite simply, extra terrestrial. Frankel aside, it was one of the greatest performances I've ever seen, both visually and in the obstacles (draw, inefficient energy usage) she overcame. But from that great ascent came a cliff dive back down to earth in 2014. Short neck defeat to a match fit Cirrus Des Aigles under his optimal trip/ground conditions in the G1 Prix Ganay was no ignominy, despite the loss of her unbeaten record. Her next two starts, however, had racing fans the world over - me included - writing off her chances of dual Arc success. First, she laboured to a three length third behind The Fugue and Magician in an all-star Prince Of Wales's Stakes at Royal Ascot; and then, three months later, she was an ostensibly toiling fourth in the Vermeille, though beaten just a length and a half. Those wiser - and more forgiving - than me and most would have heeded the fact that Treve had hurt her back on the good to firm ground at Royal Ascot, and they'd have nodded sagely in the knowledge that, as trainer Criquette Head-Maarek had said, Treve would need her prep run in the Vermeille. They would then have plundered the 10's and 12's readily available after the unplaced effort. As it was, the reigning Arc champ was sent off a fairly dismissive 11/1, in spite of news reports that she was showing all her old sparkle in her last workout before Longchamp. To cut a long story ever so slightly shorter, she was again immense in the Arc, swotting aside the challenges of Flintshire and Oaks winner, Taghrooda, who had been sent off the 9/2 favourite in Blighty. Interestingly, her Pari-Mutuel odds were just 3/1, skinny in the extreme even allowing for the fact that her supporters got the chances of Ectot and Ruler Of The World thrown in for free. Well drawn, she had a clear passage throughout, and bolted up yet again, the furnace of her ability searing her rivals in the same manner it had a year earlier. And so to 2015 and the farewell tour. #FollowTreve, the twitter hashtag implored, and racing fans the world over - twitterati or not - have done just that. Treve, for her part, did not disappoint. Four lengths was the winning margin in the Prix Corrida on her seasonal debut, that race being portentously named after the only mare prior to Treve to win the Arc twice. Next up was a besting of old rival, Flintshire, in the Grand Prix de Saint-Cloud and then, after her customary three month summer holiday, she returned to bamboozle and blitzkrieg her way to a crushing six length verdict in the Vermeille. Even allowing for the possibility that it was a sub-standard renewal it is very hard to crab that kind of effort, and Treve arrives on the stage for her date with destiny in better form than before either of her previous two wins. In three wins this year, she has been utterly dominant, though she's done little more than might have been expected. That middle run, when a long length better than Flintshire, was the best field she's faced in 2015, and Flintshire is a 20/1 shot here. Then there's the draw, yet to be made at time of writing. Sure, she overcame trap quinze in 2013, but the data strongly points to an inner draw being an advantage. If she lucks out, and her closer form rivals luck in, that levels the playing field. And here's the thing: in races such as these, punters are asked to leave their affections at the door, and hunt for value. In what other sport are fans asked to bet against their favourites on an almost universal basis? Everyone knows Treve has the best form in the field. But she is less likely to move forward markedly on what she has previously achieved than some of the more lightly raced three-year-olds. Further, those of the Classic generation get weight concessions. Enough of Treve for now, what of the oppo? Two horses vie for second favouritism at around 5/1, both Derby winners. Golden Horn, winner of the English Derby - and also the Coral-Eclipse and Irish Champion Stakes, locks that precious tyne with New Bay, winner of the French Derby and Prix Niel. The former, trained by John Gosden, has yet to be supplemented for the race, though he is almost certain to be. Gosden has yet to win the Arc from a fair few attempts, but he'll have had few better bullets to fire than this fellow. Initially considered a doubtful stayer at the mile and a half trip, he wasn't even entered for the Derby, that supplementary fee coming off the back of a highly impressive win in the Dante Stakes at York. Since then, he's looked the clear pick of the domestic three-year-old middle distance crop, wining the Derby in great style before taking on and beating his elders - and female peers - in both the Eclipse and the Irish Champion. A blip in the Juddmonte International is forgiven in what looks a progressive profile where ratings give him little to find with Treve. New Bay may be less familiar with British racing fans, but he is a high class - and potentially very high class - three-year-old. But for an unlucky in running second in the French 2000 Guineas, Andre Fabre's son of Dubawi would have been unbeaten in five starts since filling the same placing on debut. Another for whom there were initially stamina doubts, he began to disabuse those in the Prix du Jockey Club (French Derby) over ten and a half furlongs, and he knocked them into a cocked hat when waltzing away with the Prix Niel. "I was happy with New Bay. He clearly showed he gets the distance and the ground didn't bother him. It was what he needed and it was a nice, easy race. Based on the way he was finishing at Chantilly I had very little doubt about the trip for him - not based on his pedigree but on the visual impression of his Jockey-Club win. He certainly seemed happy with the distance on Sunday. The experience I have is if you want to have a chance in the Arc you need an easy prep race. That is what he had." "I'm not involved with Treve, but I would repeat that you need an easy race before the Arc." The implication that Treve may have left her race in the Vermeille will have irritated connections of the super-mare, but M. Fabre is not one to idly flimflam, and he may have a point. It makes more sense to focus on his horse for the purposes of this preview, and his horse has abundant talent, ascendant form, and an impeccable trainer. At this point I need to declare that the manner of New Bay's win in the Prix du Jockey Club saw me scrambling for a bit of Paddy's 14/1 despite concerns about his ability to get the longer trip at that time. There is a slight concern about the drying ground, almost all of his form having been on the soft side of good - a comment which can also be levelled at Treve, but which is at least in part circumstantial, the majority of French races being staged on rain-softened ground. Indeed, unlike Treve, who flopped - worse, injured herself - on her only try at good to firm, New Bay has yet to encounter such a rapid surface. All this is conjecture, both in terms of what the horse's turf preferences are and what the going will actually be come Sunday afternoon. According to Racing Post Ratings, he is about a stone behind Golden Horn and, I'm bound to say, that tells you all you need to know about a ratings set that are so woefully inadequate that they perennially finish near the bottom of the Racing Post's own naps challenge. Suffice it to say that both Golden Horn and New Bay have robust podium claims, claims which are well and truly accounted for in their odds, and which offer little of interest to value players. The good news is that it is then 14/1 bar three, with that price being offered about the doubtful runner, Jack Hobbs. Betfred are non-runner no bet and joint top price, so if you like this fellow, they're the firm with which to invest. The fragile Free Eagle and the filly, Found, are next, and that pair - second and third behind Golden Horn in an eventful Irish Champion Stakes - look like some value, I think. If he actually lines up in the Arc it will be the first time in three seasons of racing that Free Eagle has managed a third run in the year. Absent for twelve months after flopping behind Australia as a juvenile, he bombed home in the Group 3 Enterprise Stakes on his belated seasonal bow last term prior to a good third on heavy in the Champion Stakes at Ascot. This season, trainer Dermot Weld again had preparation problems as 'Freagle' contracted a cold in the lead up to the Prince Of Wales's Stakes. Nevertheless, his talented High Chapparal colt scraped home by a short head from the unlucky The Grey Gatsby to claim a first Group 1 prize. If he was the beneficiary of some bad luck in behind at Royal Ascot, the tables turned the last day when Golden Horn deployed a full-blown flanking manoeuvre as Free Eagle came upsides. Having watched the incident - and the furlongs either side - a number of times, I have a reservation about Weld's runner's stamina: he travelled very well to join the leader, but hadn't gone by in a furlong; and he was half a length down, and lugging in under a right hand drive from Pat Smullen, when on the receiving end of the Horn's outward lug. The Arc will be his first attempt at beyond ten furlongs and, if you think he'll stay, 16/1 is tempting each way. Very similar summary comments apply to Found. The only three-year-old filly in the field, she gets weight from all of her rivals and, if she stays, last year's Prix Marcel Boussac winner could add a second track victory to her palmarès. In eight career starts, Found has yet to be out of the first three, and has been first or second in all bar the Group 1 Moyglare Stud Stakes, where she was less than a length third. She would have probably been third behind Free Eagle, rather than second in front of him, but for that barging match, but regardless it was a quiet ride in the main, possibly with the Arc in mind. Indeed, she tends to be ridden quietly, and her jockey should find plenty of cover in a double-digit Arc field, meaning she'll be given every chance of getting the twelve furlongs. The rumour is that her jockey will be Ryan Moore. The Arc will be her first attempt at beyond ten furlongs and, if you think she'll stay, 16/1 is tempting each way. Flintshire, an old foe of Treve who loves to hear his hooves rattle, retains all his ability at five, as he's shown with a brace of G1 wins in the past year. Both were on turf with the word 'firm' in the going description so the forecast is a boon for his fans. He ran closest to Treve in last year's Arc, and he's run easily closest to her this term. Granted any luck with the draw, Flintshire must run his race, but he's a distant second in the eye of his trainer, Andre Fabre, to New Bay. 20/1 is playable for the place part though it is hard to see him reversing form with Treve. It's then 33/1 bar, and yet we have a number of Group 1 winners still to ponder. First up, Erupt. Unbeaten going into the Group 1 Grand Prix de Paris over course and distance, he remained unbeaten coming out of that race, putting two lengths and more between himself and the rest. Thus, on the morning of the Prix Niel, Erupt was trading as short as 10/1 for the Arc. By nightfall, he was 33/1. That monstrous drift is surely an over-reaction to a single poor performance, and at such big odds, there are reasons to be forgiving. The ground was very soft, which could have been far too soft for a son of Dubawi who had never experienced softer than good to soft, and three of whose four wins were on good ground. So Erupt may have resented the sodden turf. He may also have been in front too early, New Bay's pacemaker having capitulated prior to the turn in, leaving the Niarchos family's runner on his lonesome a long way from homesome. And there's every chance he will step forward for the run after a break of two months. That last comment is true of New Bay and others, of course, but they are not trading at 'double carpet'. As you can probably tell, I'm drawn to him from a value perspective. The ladies, Dolniya and Tapestry share the same quote. Dolniya can be expected to improve on the form of her fourth place in the Prix Foy last time, but I do not expect her to improve on her fifth place in last year's Arc; and, as for Tapestry, well she stitched me up (geddit?) in the race last year when running down the field with no real excuses. Even allowing for her needing the run in the Blandford Stakes, when a close second to Ribbons, it is asking a lot for her to prevail here. Not for me, though she'll have her supporters. And still we have a Group 1 winner to consider, and a last time out one at that. Prince Gibraltar claimed the Grosser Preis von Baden, a race that was the springboard for both Marienbard and Danedream to claim Arc (de) triumph this century. That pair started at big prices too, though no bigger than half Prince Gib's current odds, so while it wouldn't be the biggest shock ever, I don't think he can improve on his five length seventh in the race last year. It's difficult to make a case for anything else. The race, clearly, revolves around Treve. She's a horse it is impossible not to love, and affection for her is assured, irrespective of what happens over the weekend in Paris. From a wagering perspective, however, she can be opposed in a number of ways. Each way betting could reward the place even if Madame Treve does dish up another cordon bleu treat. Alternatively, the 'without' market is a favourite of mine, and Paddy have already priced that one up. Draw will be significant, and it's worth staying close to your device when that happens, ready to snaffle the cascading odds of a well berthed beast. Picking between the pair vying for second favouritism, I have a niggle that Golden Horn is maybe not quite the horse he was in the earlier part of the season. He's clocked up plenty of miles this year and, while that is as admirable as it is rare in these days of stud value protection, he might just be a shade over-cooked. Compare that to New Bay, who has had just two races since the end of May, and a two and a half month break before the commencement of his Autumn campaign. His trainer wrote the book on readying a horse to win the Arc, and he's a nap in a match with Golden Horn to my eye. Still, I'd rather back him to win at 11/2 than each way or at 5/2 without Treve. And if I hadn't backed him at 14's I would be inclined to have at least a saver at five-and-a-half. Of the podium pair from the Irish Champion Stakes, it's tougher to call. With a nagging reservation about Freagle's stamina - something that sticks only slightly less with Found - the filly looks worth a small each way interest at 16/1. And I can't let that 33/1 Erupt pass me by either. He's over-priced by almost any measure, regardless of how he runs Sunday. 3 points staked. If we're to lose, let's hope it is to the history seeker. Allez Treve! Bonne chance tout le monde! p.s. I'll be there, and I'm taking Stat of the Day Chris on a well-earned 'work outing'. So please allow a little extra time for a reply over the weekend. Merci. October is a great month. Quite apart from it being my birth month (ahem), it is more materially the twelfth in which we are served three courses of global gourmet galloping. We start in Paris this weekend for Treve's date with destiny: can she become the first horse ever to win the Arc three times? Bookmakers think so, most of them making her more probable than possible, and none of them regarding her as worse than a coin toss (even money) to make history. Arc weekend - which includes the small matter of six other Group 1's on the Sunday, even excluding the Arabian World Cup (well, it is sponsored by those deep Qatari pockets, and they do love their Arabian racing, for what will be obvious reasons) - is a kingmaker as well as a potential queenmaker meeting. Gleneagles cemented his position as winter favourite for the 2000 Guineas with a win in last year's Prix Jean-Luc Lagardere, albeit that he was disqualified for the sort of minor offence that would not have resulted in an amended outcome here or in Ireland. Ballydoyle's much missed miler ran out a ready winner of the first Classic, and followed up in the Irish version, but sadly has been unsighted since. At this stage, I've not seen the entries for the juvenile races, but we can be fairly sure that Aidan O'Brien's name will be amongst them. The races for older horses - Abbaye (2yo's do occasionally run in this), Cadran, Opera, Foret, and the Arc - will be replete with away team raiders. The traditional Sunday curtain raiser, the Abbaye, is a contender for global Group 1 with the worst finishing line camera angle. More pertinently, it has been something of a Gallic gift to the visitors, with just three domestic winners this century. Mecca's Angel is a deserved favourite, but she wouldn't want the turf too quick, and has eased out a tad in the betting with the forecast hinting at good ground or possibly even a smidge quicker. A quick five is bang on for Muthmir, and Willie Haggas's charge is one from one on his French sorties. The 11/1 with racebets (10/1 general) appeals, as does the 25/1 bet365, BetVictor about Goldream. Like Muthmir, a quick five is optimal and he's already claimed G1 glory under those conditions, winning the King's Stand at Royal Ascot this term. If that is les rosbifs' best race historically, the palmarès of the other Sunday Group 1's is peppered and pocked with sniper strikes from Team GB and Ireland. However, the Prix de l'Opera - a ten furlong race for the girls - has been a happy hunting ground for l'equipe de France in recent years. Thus, Jim Bolger's versatile Pleascach, winner of the Irish 1000 Guineas over a mile and the Yorkshire Oaks over a mile and a half, may be best of the Jenny Foreigners, but the UK books surely have it wrong offering as high as 10/1 (10bet) about Avenir Certain. This filly won the Prix de Diane last year, a year after Treve, in similarly authoritative fashion, and ten furlongs on top of the ground looks ideal. She'll be cherry ripe for this, and it's quite hard to see her out of the frame. The Foret has been better for Blighty (and Ireland) with three of the last four eluding local clutches, though the two super-smart fillies, Goldikova and Moonlight Cloud, were the pick of the last quintet of winners - both trained in France. If there's to be a third French filly since 2010 to win this, it will almost certainly be Esoterique. Already a G1 winner this season, against the boys in the Prix Jacques le Marois, she's backed that up with second to Solow in the Queen Anne and the same placing behind Muhaarar in the Prix Maurice de Gheest. Those two silvers behind multiple Group 1 winners this season mark her out as the best in the field, and the close second in the Maurice de Gheest over six and a half furlongs dispels most concerns about the trip being on the short side. If she runs - and she's not certain to, with a supplementary entry for the softer Sun Chariot at Newmarket on the same day, also G1, having been made - she'll be very hard to beat. If she doesn't, it's up for grabs, Limato being a legitimate-looking but far from value proposition as market leader around 2/1. The Prix du Cadran, run over two and a half miles, is a proper old favourites' race, James Fanshawe's High Jinx joining Kasbah Bliss and Sergeant Cecil on the recent role d'honneur last year. Plenty of overseas interest again, as Alex My Boy, formerly trained by Mark Johnston and now tutored in the Teutons, heads the embryonic market. He's done well but this represents a stiffer test, and a half mile longer one too. If Manatee runs, he'll be stepping up a full mile on anything he's raced over previously so, while dismissing a runner from M. Fabre's ecurie is une grande folie, a top price of 5/1 gets the ready swerve. Bathyrhon looks a likely runner, and his talented trainer, Pia Brandt, watched her lad beaten only two lengths in the Ascot Gold Cup over this range. On his home circuit, and with proven trip form, this late maturing type is attractively priced at 8/1 with the ground in his favour too. Obviously, you can completely ignore his prep run in the Foy (mile and a half, soft) where he would surely have been doing no more than blowing out the cobwebs after two months off. I'd expect the two French nominees above - Avenir Certain and Bathyrhon - to be no bigger than half their current British odds on the Parisian 'nanny', and though I won't be getting overly excited from a wagering outlay perspective, they're two I'm keen to side with. The Abbaye is wide open as ever, and a poor race for me personally, so it'll be a couple of beans - no more - win and place on those I've mentioned. But what of the Arc? Well, we'll save that for later in the week, shall we? If Arc weekend is a sumptuous hors d'oeuvre, one must refrain from metaphorically gorging oneself on the main course of Champions Day, for there remains a syrupy yet surprisingly satisfying dessert to be ladled up at the end of the month. It goes by the name of the Breeders' Cup, and this year it will be served at Keeneland for the very first time. As with Paris and Ascot, I will be lucky enough to be there - all other things being equal - and I'll have plenty more on both those later events nearer the time. And, as if that wasn't enough, we also anticipate the tempting prospect of an amuse bouche, courtesy of The Geegeez Geegee, at some point in the proceedings. Our lad has been training well, and he's entered in two races towards the end of the week. As things stand, it looks like the fine weather will scupper us on both starts, but we (me and the other syndicate owners) hope he'll prove to be better than his current rating of 110. He was certainly unlucky in both of his last two starts. His penultimate run saw him arrive at the last flight going much the best, only to run out through the wing of that notoriously orphaned hurdle - bereft of rail either side and sitting like an island in the centre of the track - at Worcester. No matter, for we'd entered him just a few days later at Southwell. Again, he looked seriously unlucky, flying home for a clear second having been shuffled back to last of twelve in a packing field on the home turn. We have our fingers crossed for his eagerly-awaited return. Lower down the ability spectrum, Nonagon is another for whom the dry weather is no use whatsoever. His only two poor turf handicap runs came on good to firm - even then he was beaten only around five lengths - and he is a late developer who looks well handicapped. He's not going to shoot through the ratings but can definitely win, and hopefully some time soon. Our (the geegeez syndicates', that is) most recent acquisition, East Wing, has been pleasing his trainer in his early motions. He's being brought steadily through the learning process, and could be ready to race around the turn of the year. He's a strapping lad - big for a four-year-old - and we're excited to see what he can do in due course. Fingers crossed they all stay healthy. Finally today, if you're a free subscriber to Geegeez, I hope you're already taking a good look at our Race of the Day. Highlighted in yellow when you're logged in (free users only), it's one race a day where we showcase all of our premium Gold racecard tools - Instant Expert, Pace Analysis, form indicators, speed ratings, head-to-head records, form and breeding comments. And, as of now, we're offering you more races of the day. Approximately one race per meeting - though not necessarily spread evenly across the day's meetings - will show up in yellow on the racecards page, in both the compact and full views. (The races are not highlighted on the home page grid at this stage, but we'll have them there too soon). If you've yet to register on the website, you can do so here. I'll be back on Thursday with a few thoughts on the Arc. Spoiler alert: my heart is with Treve, my wallet is not. Seven Group 1's comprise the almost unrivalled quality and depth of Arc Sunday, highlighted by the Qatar Prix de l'Arc de Triomphe itself. That classic contest, despite the late defecting Novellist, is a true cracker. And the support is incroyable too. Here are the first five of them, along with previews and tips. [And do remember that racebets are paying 10% on top of the SP for any UK or Irish trained winners in Paris today. Can Jwala win the Abbaye? It's the most subscribed race of the whole weekend in Paris, both from a number of runners perspective, and a number of British- and Irish-trained runners perspective too. And within that is the problem: it's very, very hard to find the winner, as odds of 6/1 the field imply. From a pure ratings perspective, it's a two horse race: Jwala and Sole Power are the only two 'proper' Group 1 horses in the field. From a draw and ratings perspective, it's a one horse race: Jwala has the rating and the draw, Sole Power is wide again in this event, having finished a really creditable fifth from stall 15 last year on heavy. He's fared slightly better in 13 this time, and the ground will be slightly quicker than the heavy encountered in 2012, but still he has a bit to find with Jwala. So, should I end the preview there? Well, I probably should, because digging deeper into the merits and de-merits (if it's a word) of the remainder is like trying to justify the possibility of a horse that shouldn't be able to win the race winning the race... if you see what I mean. Last year, Wizz Kid, a local with a Group 2 win during the season, prevailed. In 2011, Tangerine Trees, with a Group 3 and a Listed win earlier in the season, won. In 2010, a Group 3 winner earlier in the year won. The same in 2009, a Listed winner earlier in the year; and in 2008, an actual previous Group 1 winner triumped - Marchant d'Or. In essence, any horse that has won a Listed race, or preferably at least a Group 3, this year can win the weakish Group 1 that is the Prix de l'Abbaye de Longchamp. I'm also looking for a five furlong specialist, and a horse which acts on the soft side of good (won in Listed class or better under those conditions). And I want a low drawn horse. Incredibly, six of the twelve 1-2-3 positions in the last four years were achieved by horses drawn 1, 2, or 3! Jwala has stall 4, and she has the early speed to take advantage of it. Although Hamza, in 2, is also very quick from the gate, Jwala has a much better overall profile, including that last time out Group 1 win (when I backed her at 80/1 on Betfair using the RAR reports, which were in private trial at time!). She has a superb profile for the race, and must run well assuming she breaks on terms, a comment which applies to every runner in this licketty-split dash. Of those at a price, Hamza could run into the frame from a beneficial draw, and I'd definitely want to back him with a bookie paying four places (bet365, though their offer of 16/1 is a bit on the skinny side). Spirit Quartz has been overlooked a little for this, in my view. He ran poorly last time, for sure, but prior to that was beaten less than three lengths in a Group 2 on good. Here's the thing with SQ though: he wants soft ground. It's possible he didn't let himself down properly (i.e. he was afraid of jarring himself) on the quicker ground in recent starts. If I'm right about that, he's a huge price at 25/1 with William Hill. He won a Group 2 at Chantilly earlier this season, over five good to soft furlongs, beating a horse called Catcall. She's half his price, and that's not right, especially given Spirit Quartz' trap three berthing. Rae Guest's Mirza also likes soft - very much - and won over course and distance last time out in a Group 3 (dead heating in fact with re-opposing Dibajj). The one to back of that pair, though, is Dibajj, as she's likely to be very popular with the French: she's trained by top trainer, Alain de Royer-Dupre; she has a form string of 32131; she goes on soft and is versatile with regards trip, proving last time that she can live with the pace at the minimum. The one issue with her is that she's a hold up horse, drawn eight, and she might have trouble in running. But then so might plenty of others. I'm pretty sure she won't be 14/1 on the day given her profile, so she's a value bet on that basis alone. Maarek loves genuine soft ground, and he's a Group 2 performer under such conditions. He's got an acceptable stall in seven, and is another with a squeak. Reckless Abandon, for all his toe, has a better record at six furlongs, though he is capable of winning a race like this, albeit perhaps not from box 16. Catcall has run close to a good few of these, but ultimately been beaten by them, and she'd have to reverse several formlines to go in, and she's not a price to be betting that. Justineo has been hardlucked by the draw (15), and may well try to make all on the far side, most likely in vain; while Ladies Are Forever is a six furlong mare in my view. And the rest probably aren't good enough. Lesstalk for Jean-Claude inParis Marcel Boussac? The Marcel Boussac is one of the pre-eminent juvenile filly races, a Group 1 run over a mile. All bar one of the the last twelve winners were either first or second in at least one Group 1 subsequently - the exception, Rumplestiltskin, only racing once after her Boussac victory. It may or may not be significant then, that Sandiva, the leading overseas raider, has been off the track for fifty days. Charlie Appleby's Majeyda, beaten in a Group 2 last time, also fails this profile test, as do Likelihood, Wonderfully, Queen Catrine, and Illuminating Dream. Put another way, not one of the raiding party passes these criteria. Sandiva is the closest and five days may be neither here nor there if her form stacks up. We'll see about that momentarily. The home guard is not without its weaknesses either against the checklist, with Kenzadargent, Marbre Rose, Testina, Stormyra, Princess Bavaroise, Stellar Path and Indonesienne all failing one or more of these. Clearly, it would have been easier to outline that just Veda, Lesstalkinparis, and Royalmania ticked the boxes! Royalmania is favoured after two wins in two starts, the more recent a soft ground conditions stakes. That form doesn't amount to a great deal and, while she is a filly of vast potential, she has yet to show pattern class ability, let alone Group 1 winning talent. That's not to say she can't, merely to highlight the absence of value in a price of 7/4. Lesstalkinparis is a 4/1 shot, and she won a Group 3 last time - the second win in her two run career. She had a troubled passage there and it was testament to her ability that she was still able to win when the gap finally came. She has better form in the book, and is more obviously better than the bare level of that. The ground looks fine for her, and she's a far better value proposition in my view than the favourite. Hoku has been supplemented for this and, given the prohibitive cost of doing so, that may be a tip in itself. It's certainly a pointer to the well-being of this young filly, who has improved throughout the season and was an unlucky second last time in a Group 3 at Ayr. That's bold leap from there to here, up two grades and two furlongs. Ultimately, it may simply be that the owner, Sheikh Suhaim Al Thani, one of the Qatari money men, wants a horse running in one of the races sponsored by his nation. Who's who in the Lagardere? No, Noozhoh! The richest race on the French juvenile circuit, closely matched with the Prix Morny, the Lagardere - run over seven furlongs - is a pot plundered by many a British and Irish raider. Indeed, eleven of the last seventeen renewals have been carted across la Manche. The main daylight robber has been Aidan O'Brien with a clutch of seven wins since 1997. Interestingly, perhaps, he's failed to add to that tally since 2006. Just nine remain engaged for this most prestigious of prizes, and O'Brien relies on Wilshire Boulevard to enhance his prominence on the Lagardere roll of honour. Wilshire Boulevard has yet to win above Group 3 level, though he was second in a Group 2 last time; and has yet to race beyond six furlongs, though he is bred for this longer trip. Indeed, his dear old daddy, Holy Roman Emperor, was the last Ballydoyle boyo to score in this, as mentioned, in 2006. He is battle hardened, like many from his stable, having had six runs already - four of them resulting in a gold or silver medal - and he has scope to improve for the step up to seven-eighths. Whether he's good enough is another question entirely, and I'll be wagering he's not quite up to this. The favourite is another of the raiding party, Outstrip, representing Charlie Appleby and Godolphin. It's been a very difficult year for the Godolphin team, and Appleby only finds himself here due to the disgrace of his former guv'nor Mahmood al Zarooni. Nevertheless, Charlie has started very well, and his horse has the best combination of proven form and projected improvement in the field. After just three runs, Outstrip has finished second and then first in a brace of seven furlong Group 2's, both of them on good to soft ground. That profile lends itself readily to comparison with Sunday's race conditions, and the facile manner of his latest Doncaster success - by three lengths from yardstick, The Grey Gatsby - was eye-catching, cutting down the outside and drawing away. The best of the French may well be Karakontie, a Bernstein colt who probably wants further in time. His US/Japanese breeding leads me to think he may prove best on faster ground too, though he did win his debut on very soft, beating a horse called Ectot. Ectot has since won three in a row, the last of which was a Group 3. If he acts on the ground, he will be the main danger. Noozhoh Canarias is very hard to peg. He's won his three starts, impressively each time, and the last of them in Listed company over six furlongs. However, all three runs were on good ground, which it is unlikely to be on Sunday, and he's never run at the main Paris or Normandy tracks. In fact, he had the first two of his three starts in Spain, at La Zarzuela near Madrid. Your guess is as good as mine as to how that form stacks up, so it is best to focus on his last day win at Bordeaux's La Teste track. That was a Listed event, and he beat Elusive Pearl and Another Party, the latter of which has since run within a short neck of a Group 3 victory at Chantilly, having been nearly seven lengths behind Noozhoh Canarias. He re-opposes here, but it's hard to see him reversing form. This horse reminds me of 2011 Lagardere winner, Dabirsim, who started out at La Teste before bashing up the best of the Parisians in their own back jardin. Whether he's good enough to replicate that one's electric turn of pace - it really was a phenomenally charmed run Frankie got that day from a nigh on impossible position - remains to be seen. But the nature of his performances to date mean he could be up to it, and he's a price so to do. Can Silasol win on Arc day again? The Opera is a Group 1 for fillies and mares run over a mile and a quarter, and generally won by a genuine Group 1 distaff. It's another race the three- and four-year-olds have monopolized, with just Satwa Queen (2007) winning for the older nags since 1974. That doesn't bode at all well for either of Pagera, re-routed here from the Prix de Royallieu on Saturday, or Roger Charlton's Thistle Bird, both of which are five. Indeed, three-year-olds have something of a stranglehold on the race, having won all of the last five Operas, and thirty of the last forty. British and Irish fillies have won nine of the last twenty instances of the Opera, though only Roger Varian's Nahrain has conquered the locals in the last seven years. With the Royallieu over a mile and a half seemingly at her mercy, this is an interesting slot for Ralph Beckett's Secret Gesture to fill, given that she's not run over such a short trip in four races this season. That said, she's not short of pace, as she showed when winning the Listed Oaks trial over a mile and three by ten lengths. She was already well clear by the furlong pole, and ought not to be especially inconvenienced by the drop in range. She has the class for a race like this, and she's owned by the sponsor, who will be most keen to recoup a few of his Qatari riyals. The only time Secret Gesture was out of the first two in her six race career was the last day, in the Group 1 Yorkshire Oaks. While she would have been no match for The Fugue that day on any turf, it's possible that the first time she has encountered the word 'firm' in the going description was to blame for a slightly sub-par effort. Prior to that, she was second in both the Epsom and German Oaks, and I like her. 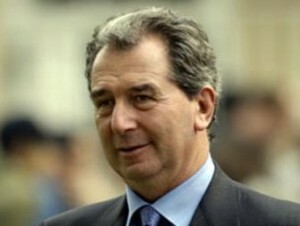 Pick of the French will probably be Andre Fabre's grey Godolphin filly, Tasaday. She was third in the French 1000 Guineas, and fourth in the French Oaks, and third last time out in the Prix Vermeille. Those were all Group 1 efforts, the last two when beaten roughly the same distance behind Treve, second favourite for the Arc. In between those two Treve trumpings, Tasaday won twice herself, both at Deauville and both in less Group company over this mile and a quarter distance. She seems to be fine with some cut in the ground, and her level of public ability is broadly in line with Secret Gesture's. Surprisingly, Andre Fabre hasn't won the Opera since 1997, and he's run thirteen in the intervening years, including an odds on favourite. Two of his, one of them that jolly, were second, so it's hard to write him off... but Tasaday could very well be over-bet and offer value elsewhere. Sparkling Beam finished behind Tasaday in second on both of those two Deauville runs, and it's very hard to envisage how she can tournez les tables here under similar conditions. (Apologies for the Del Boy French interjections). Thistle Bird, for all that she's ostensibly 'too old', cannot be discounted on the merit of her Nassau Stakes run. She was a close second to Winsili in that ten furlong Group 1 and that ties in closely with the pick of this pack. She backed that up with a nine furlong win in Group 3 company at Epsom earlier in the year, on good to soft. The best of her form however is on quick ground, and I suspect the combination of the weight for age allowance she cedes to the younger lasses, and the sodden turf, will conspire against her. Dalkala may be the most interesting of all. We've seen her in England this year. She won the Group 2 Middleton Stakes at York back in May. Since then she got whacked in a vintage renewal of the Grand Prix de Saint-Cloud (Novellist won, beating Dunaden and Cirrus Des Aigles, amongst others), before running a nice third in the Group 1 Prix Jean Romanet over Deauville's equivalent circuit. She's won over as far as a mile and five furlongs (in heavy ground!) so she'll not want for stamina, and she does have a touch of class to go with it, as the G1 bronze last time illustrates. I do feel she might just lack the zip to outrun some of these over ten furlongs, but if it comes up quaggy, she'd be a player. And then there's Silasol. Winner of the mile Group 1 Marcel Boussac on soft this day last year, she's since won a course and distance Group 1 (Prix Saint-Alary) again on soft. This is her trip, this is her track, and she might well get her ground as well. As a daughter of Monsun, she's a mudlark, and if it rains, keep Silasol onside. The Prix de l'Opera is a fascinating race this year, and there are plenty with some sort of chance. Depending on the available odds, I'd be interested in the chances of Secret Gesture, Silasol and Dalkala. Nice one, Treve! Prix de l'Arc de Triomphe winner? It's the big one of Longchamp's big weekend, the Qatar Prix de l'Arc de Triomphe 2013. Whilst not quite being the race that stops a nation (there isn't actually any sporting event in modern Gaul that can claim such attention from the famously insouciant inhabitants of our near neighbours), it is certainly the most important horse race in Europe, and a crowd of somewhere close to 60,000 will file in before it starts, and out after it finishes... many of them within ten minutes either side. Yes, such a prestigious race deserves such a long opening sentence, punctuated to within a semi colon of its life. On with the Arc show, and what a show it promises to be this year. There is truly global representation, with much of Europe, and Japan, engaged. And it is a race with as much depth as it has international flavour. Naturellement, this fusion dish has a predominantly French base (Treve, Intello, Flintshire, et al), but it is thickened with German stodge (Novellist) and fiendishly spiced with Japanese wasabi (Orfevre, Kizuna). For those who prefer meat and two veg, les rosbifs offer an alternative plate comprising Irish potatoes, Ruler Of The World and Leading Light (when was the last time two Classic winners were referred to as potatoes? ), and English beef in the form of Al Kazeem and The Fugue (not in a Tesco burger sense, you understand). OK, enough with the lame analogies, let's get to the meat of the argument, starting with the trends. The last ten winners had an average post position of 6.0, with just one winner - the very talented Dalakhani - drawn in double figures. He was drawn 14 in a field of 13 (one non-runner), which is a smaller than average field. The average field size in the last ten years has been 15.4. Second placed horses in the Prix de l'Arc de Triomphe had an average draw position of 6.5, with only Orfevre last year running up from a stall higher than ten. Indeed, there has been just a single winner drawn higher than ten; a single runner up drawn higher than ten; and, five third placed horses drawn higher than ten. In the seven big field Arcs (15+ runners) of the last decade, the average winning stall has been 4.86. In other words, the bigger field, the bigger the low draw advantage. In case you think that's a fluke, the average for second placed finishers comes down slightly to 6.43, despite the presence of the biggest outlier on the board. In the Arc, low draw is good, high draw is bad. Simple as that. What about age? Winning the Arc is a young man's game. Or a young lady's game. Whilst gender seems unimportant in recent times - in fact, the girls have out-performed their numerical presence significantly - age is crucial. Only six winners since 1990 were not three-year-olds. The Classic generation lead 17-6 in that time. Of the six older horses, five of them were four years old, and just Marienbard - a 16/1 shocker in 2002 - has scored for the older generations. Orfevre, this year's short priced favourite, is five. So is Al Kazeem. And so are three others. Joshua Tree is six. No thanks. Unless they get a very favourable draw. Arc Trials day has thrown up seven Arc winners since 2000 - the clue is in the name! - and five of those exited the Prix Niel. However, nothing has come from that race to win the Prix de l'Arc de Triomphe since 2006. More recently, both Zarkava (2008) and Solemia (2012) have exited the Vermeille to win the Arc. This year, Treve will attempt to replicate that feat. Aside from the Niel, all other Arc winners since 2000 and before (Montjeu in 1999 won the Niel) ran in a Group 1 on their prior start. Ten of those thirteen 21st century Arc winners also won their previous race, with just Bago (3rd Prix Niel), Workforce (5th, injured, King George), and Solemia (3rd Prix Vermeille) bagging the big day spoils having fluffed their lines in rehearsal. Look for Group 1 win or a recognised Arc trial win or place last time out. After that, it becomes increasingly dangerous to conjure with the historical trends, especially in this annee des annees. There is such strength in depth in the 2013 Arc that to split the field on anything but the most robust and logical of trends is dicing with wagering disaster. I will however, exclude horses older than four; those who failed to win in a Group 1 or at least place in an Arc trial (Vermeille or Foy); and those drawn in a double figure stall. True, on the last point, it could almost cut the field in half. But in such a competitive renewal, a low draw will be a sizeable advantage. This leaves us with a pre-draw shortlist of Novellist, The Fugue, Leading Light, Ocovango, Kizuna, Ruler Of The World, and Treve. Orfevre, no bigger than 5/2 anywhere, has a lot to do to overcome history. He is five years old, which is older than all bar Marienbard since 1998, and an age at which only three horses since 1948 have won. He is bidding to win after running in the race before, which has never been done before. And he won a very slowly run Prix Foy. Now, let me be clear. I am not saying Orfevre cannot win. I am saying he is terrible value in a race as open as this, with so many historical impediments to overcome. Oh yes, and don't forget that he should have won last year, but dogged it in! He's an awful price, win or not. A truly awful price. OK, so that's the trends and the frivolity out of the way, now let's get down to business. Which horses have the form to win the 2013 Qatar Prix de l'Arc de Triomphe? The answer, sadly (from a betting perspective at least), is most of them! When you keep in mind that the last two winners of the Arc were 33/1 and 20/1, it may be unwise to pile into a 'shortie' for the big race. Quite simply, it's not that, erm, simple. The field is deep with talent, and there will be hard luck stories galore. The horse which is favoured, and whose chance I've already lampooned above, is Orfevre. He has a tidal wave of history against him. That's not to say he can't win: he can. But he's rank value at 2/1 or 5/2. On the bright side, he was second in the Arc last year, and should have won. Moreover, he's done nothing wrong this term, winning the Group 2 Prix Foy, the weakest of the Arc trials, granted, without turning a hair. Prior to that he won a Grade 2 in Japan over ten furlongs. Those have been his only runs this year, neither of them in top class company. That, for me, is another negative. And here's another thing. After coming to win the Arc, and then dogging it in... he did the exact same thing in Japan on his final start last term, getting beaten a nose by Gentildonna (a top class Japanese horse). He's a heart breaker all right, and has cost romantic punters plenty. He looks set to do the same again this weekend, as the Japanese cram the betting windows to hurl yen and euros in his direction. Next in the betting, and a far more credible alternative to my eye is Treve. She's a French filly from the Classic crop, and she's unbeaten in her four career starts. They include a sumptuous stroll in the Prix de Diane (the French Oaks), and an equally leisurely larruping of her opposition in the Prix Vermeille, also a Group 1, and a strong Arc trial. Treve looks to go on any ground - her Diane win was on good and her Vermeille win on soft - and she stays this trip readily. She does lack a little experience after just that quartet of races, and my only reservation - granted a decent draw - would be how she'll handle such a big field. Aside from that, she looks very good. And I have to concede my slight bias: so taken was I with her French Oaks win in June that I lobbed fifty quid in her direction for this at 14/1, win only. So she'll pay for my Parisian weekend if she can do the bizzo Sunday afternoon. Allez Treve! [Alas, she has drawn 15 which is pretty awful, despite some judges suggesting this will suit her]. Novellist is a horse I love: it's very hard not to. He's tough. Really, really tough. He's classy. Very classy. And he's able. Top drawer. We've seen him duff up our best middle distance nags this year in the King George, which he romped by the small matter of five lengths from the best British and Irish Classic form yardstick, Trading Leather. And then he won the Group 1 Grosser Preis von Baden back in the fatherland. That latest win was far more workmanlike than the King George, but Team Novellist (Andreas Wohler) almost certainly left a bit to work on. Expect a fitter hoss on Sunday. The Grosser Preis von Baden has been a good trial, too, with both Marienbard and Danedream winning that before winning this. And, if the French back Treve, and the Japanese back Orfevre (and to a lesser extent, Kizuna), Novellist is going to be a lovely, lovely price. That's what I'm hoping anyway, as he's the one I want to take alongside the pretty little French filly, Treve. Market-wise, we're then into the realms of global Classic form, with Kizuna, the Japanese Derby, and Prix Niel, winner; Intello, the French Derby winner; Flintshire, the 'other French Derby' (Grand Prix de Paris) winner; Ruler Of The World, the Epsom Derby winner; and, Leading Light, the St Leger winner. Yes, this is a strong renewal of the Arc! Kizuna beat Ruler Of The World and Ocovango in the Niel, and rumour has it he was only around 80% fit there. The way he traveled into that race, and the way he battled on when fitness gave out, marks him down as a horse of serious talent. The question, though, is what did he beat? He beat the winner and third from the Epsom Derby, a race the form of which has - as it often does - worked out poorly. Ruler Of The World was also 'under-cooked' in the Niel, but I wouldn't expect him to improve as much as Kizuna, and so I wouldn't expect him to beat Kizuna. That Niel win was on soft ground, answering a question about Kizuna's ability to handle such conditions, and he looks a reasonable prospect (though some judges are put off by the fact that Yutaka Take takes the ride). Ocovango shouldn't be good enough, though he does stay on well, albeit at the one pace. I'd be astonished if he could beat the two Derby winners that beat him last time out. Intello is the potential wolf in sheep's clothing. He's a horse I'm happy enough to field against, but I'm mindful that he can beat me. His win in the French Derby - the proper one, the Prix du Jockey Club - was impressive. That race, run over a furlong shorter than this one, contained nineteen runners and he won by clear daylight. But. But... I'm just not convinced about a horse that ran in a Group 3 over a mile and a quarter as a prep for the Arc. And I'm not convinced about a horse that has sufficient speed to run third in the French Guineas and the Prix Jacques le Marois, both over a mile. If he can win this strong Arc, over a mile and a half, he will be some tool. And, trained by Andre Fabre - a master of his craft, it is certainly possible. But, as they say in France, il est pas pour moi. Flintshire was actually favourite for the Arc just a month ago, prior to disappointing immensely in the Prix Niel, where he trailed in a two length fourth to Kizuna and co. It's possible - indeed, likely - that he was unfit there, and he's sure to improve. But so were, and so are, at least two of the three horses in front of him there. It's less than two lengths of a turn around required, and that can happen with a quick break or a good draw. He'll probably be a bit shorter than 16/1 on the day, and it wouldn't be the biggest shock to see him win. Another that I'm struggling to get a handle on is Leading Light, the St Leger winner. St Leger winners are often well bet in the Arc market (I remember Masked Marvel getting smashed into a couple of years ago), but their record is... poor. Nevertheless, Leading Light has a string of 1's to his name, which include the Queen's Vase at Royal Ascot as well as the Leger. He's clearly stoutly bred, and stays much further than these twelve furlongs. But he also had the speed to win over ten furlongs twice prior to stepping up in trip. Bottom line, a St Leger and Queen's Vase winner shouldn't have the zip and the nip required to beat the best middle distance horses on the planet. It might happen, but I couldn't wager it. Lurking midway down the betting lists are a couple of seriously good middle distance horses, Al Kazeem and The Fugue. The former has won the Group 1 Tattersalls Gold Cup, the Group 1 Prince of Wales's Stakes, and the Group 1 Coral Eclipse this term. He was also third in the Group 1 Juddmonte International and second in the Group 1 Irish Champion Stakes, all this term. It's fair to say Al Kazeem is a legitimate Group 1 horse. ...or else I'd love to see The Fugue win. She's a wonder mare, probably the best we've had since Ouija Board, accepting that others will argue the merits of Snow Fairy. She has scooted up on her two most recent starts, in the Yorkshire Oaks (Group 1) and when beating Al Kazeem in the Irish Champion the last day. Good ground seems important to her, and we ought to keep in mind that she'll probably have a bit left to work on ahead of a tilt at either the Breeders Cup Filly and Mare Turf or, more likely, the Breeders Cup Turf itself. On balance then, not this time, lady. Especially since she's been withdrawn due to the ground. Despite a couple of big-priced recent winners, it's hard to make a case for anything else. Both those big-priced winners either won or ran close up in a recognised trial. Meandre did win a soft ground German Group 1 over a mile and a half, and he has some back class as well. He's five though, which doesn't help. Perhaps he can run into a place at a whopping price: the fact that he's been supplemented at a cost of €100,000 suggests connections feel he's come out of his last win well enough. Moreover, he was only a length and a half behind Novellist in the Grosser Preis von Baden the time before, and there will be worse 50/1 shots this weekend. The Arc weekend of racing, which culminates in the Qatar Prix de l'Arc de Triomphe is more than just a one trick pony. On the Sunday alone, there are seven Group 1 races: a veritable feast of the best of Europe's equine talent. And, while Arc Saturday is in the shadow of its successor to some degree, it retains plenty of quality - spread across four Group 2 contests - in its own right. The highlight is unquestionably the Prix Dollar, where serial Group 1 winners Cirrus des Aigles and Planteur will cross swords. Both have one eye on a bigger prize in a few weeks time - Cirrus will bid to regain the Champion Stakes crown he ceded to the mighty Frankel last year, while Planteur is heading transatlantic for a tilt at the Breeders Cup Classic - but the race should still be between them even at 90% fitness. Supporting roles are played by the Prix Chaudenay, Prix de Royallieu and the Prix Daniel Wildenstein, and that makes for a fascinating afternoon of sport. I've previewed all four races, and will hope to find at least one winner from the quartet in the scribbles below. Can Omar's Don Bosco bag the Daniel Wildenstein? This all age mile contest is a Group 2, and attracts a decent field from across Europe. In the last sixteen years, just three three-year-olds have won the Daniel Wildenstein, and that's enough for me to (foolishly?) overlook the vintage posse, despite what is ostensibly a reasonable three pounds weight-for-age allowance. A huge field of eighteen are entered, six of them three-year-olds. The field size could well have a bearing on the outcome, with inside posts and prominent run styles generally less likely to encounter troubled passages in a race that will almost certainly create hard luck stories. Of the raiding party, only three have managed to nick this since the turn of the century, and they were all trained by Saeed bin Suroor. Five British or Irish horses attempt to claim the prize this time, none in the royal blue silks of Godolphin. Those drawn low and with a fairly prominent running style include Don Bosco, Fire Ship, and Gereon, which will probably try to lead. Fire Ship is trained in England by William Knight, and he'll have his work cut out to win in this lofty grade, despite some decent efforts in recent times at Listed and Group 3 level. The other pair are interesting. Don Bosco, owned by Omar Sharif, couldn't live with the Group 1 speedsters in the Prix Maurice de Gheest last time, but had previously run Intello to two lengths, and before that ran Maxios to three lengths. And, four starts back, he won a Group 2 on good to soft over a mile. Those are the conditions he'll face here, and on that basis he has an each way squeak. Gereon will be ridden by Brit, Liam Jones, who keeps the ride after steering the horse to a Group 2 win in Germany last time out. He made all there and he's likely to attempt to do the same again here, from a decent draw in seven. Gereon has run behind some pretty smart horses in his career: Excelebration, Waldpark, Danedream, Worthadd, and he's a smart enough animal in his own right. The best, and the best drawn, of the British is Gregorian, in stall five. Trained by Johnny G, who won this in 1997 with Decorated Hero, Gregorian has run some fine races this year, including when third in the Queen Anne Stakes, a Group 1 at Royal Ascot. He's versatile regarding ground and running style, and has won from seven to nine furlongs: in other words, he's likely to run his race again here. For all that, his only win at this mile trip was in a very weak conditions race at Hamilton where he was sent off the 1/7 favourite. A place looks to be reserved for him, but I'd be surprised if nothing was able to pass him before the jam stick. If it came up boggy and if he could get across from his wide-ish draw, Penitent would have a decent chance. Alas, it looks as though the luck of the Irish has deserted them on the ferry, with Brendan Bracken and Yellow Rosebud pulling posts 18 and 17 respectively: in the car park. It's a trappy race, and I'll be betting based on early speed and a low draw. That brings in Don Bosco and Gereon for me, both of which should be nice each way prices. The former may just be suited to stalking the latter, and benefit from that slip-streaming to prevail. If it came up soft, Penitent would certainly be of interest. The Royallieu is a mile and a half Group 2 for fillies and mares, aged three and up. It has been dominated by three and four year olds, to the extent that no horse older than that has won since at least 1974. Indeed, three-year-olds have won all bar ten of the last 38 renewals. This year, the field of ten comprises only three- and four-year-olds. The Brits have fared all right in this event, winning in 2007 and 2011, and are double-handed this time, with Riposte and the unbeaten Pomology standing their ground. Of that pair, Riposte has the best level of form, accentuated by her poignant Group 2 Ribblesdale Stakes win at Royal Ascot, just days after the passing of Sir Henry Cecil. Since that success, however, she's trailed in down the field in a pair of Group 1 contests. Granted, they were higher class affairs than this but the margin of defeat, especially on her most recent run, makes it a leap of faith to support her here. Pomology looks the likeliest of the British lasses to continue her three-match career unbeaten run. Trained by Johnny G(osden), no stranger to Longchamp glory, Pomology has already acquired a taste for Gallic galloping, having struck in a Group 3 at Deauville over the same extended mile and a half as the Royallieu. Ground softer than good would be a new experience, but she handled the Kempton poly well enough, giving hope that she'll cope with good to soft at least. The local entry looks deep, but without there being a standout contender. Chalnetta could just be the pick of the French, and if the phrase 'she deserves to win a race like this' isn't downright stupid, then she deserves to win a race like this. Why? Because she's run second in similar contests on her last two starts, running into the very smart pair, Pacific Rim (headed to the Champions Day Fillies and Mares race) and La Pomme d'Amour. There is nothing which has shown itself to be of that class in this field, so Chalnetta should go close, granted a loose lead on the front, as is her wont. If it comes up on the soft side, Orion Love might have a chance. She ran a blinder when four to my Arc fancy, Treve, in the Group 1 Prix Vermeille, and her profile implies she's a better filly with cut underfoot. If she can settle better and take a prominent position, I'd fancy her to make the frame. Siljan's Saga is another that will relish testing ground, and looks bred for this sort of trip despite having generally been campaigned over shorter. She's also raced mainly at the provincial tracks, so this will be a different sort of test, but she does deserve a crack at it, and has scope to be better than she's shown so far against a more exacting stamina test such as the Royallieu. Of the remainder, Yellow And Green stands out. She was an excellent fifth in last year's Arc, and has had just the one run this term so far. That was a strange effort, as she completed fluffed the start and was detached, before making up ground and then finally seeing her run flatten out. That was back in May, though, so presumably something wasn't quite right with her afterwards as she's had a protracted time on the sidelines since. If she is at her best, she's got the class to win this, no question. But, given the interrupted season she's had, it is a fair-sized 'if'. Cirrus des Aigles: Prix Dollar hat-trick hero? The Prix Dollar, run over a distance just short of a mile and a quarter, is a very good Group 2, and arguably borderline Group 1. Certainly, it has at least one legitimate Group 1 horse entered, and perhaps as many as three. The obvious horse, and the most likely winner, is Cirrus Des Aigles, a true star of the flat game. He's seven now, and a gelding, so he'll race until he can't race any more. And he's won the Dollar twice in the last three years, as well as recording a short neck second in between times. He's been targeted at an Autumn campaign all year, and I think he'll win, plain and simple. Amongst his incredible seventeen career victories so far, he can boast three Group 1's, four Group 2's, five Group 3's, and two Listed races. Nice palmaires! This is his optimum trip, and he's ground agnostic, so no worries on that score. With nine course wins too, seven at the Dollar distance, he knows his own way home around Longchamp's pistes. True, he endured a run of four defeats earlier in the season, but he suffered six losses in a row earlier in his career and it hardly stopped him bouncing back. His early season form is always weaker than his late season form: in fact, he's lost on seasonal bow in each of his six racing seasons. Three of his four losses this season were at a mile and a half, beyond his optimum, and the other two were second places - firstly behind Frankel in the Group 1 Champion Stakes, and then when arguably given too much to do in a Group 3 at Deauville. I'd expect him to be at least five pounds better than his last run, the form of which might be good enough to win this without that improvement. Against him, Maputo could be a Group 1 horse one day, and has already won a Group 3, on his most recent start. That, like all of his last six runs, was on good to firm ground though and, whilst he won his maiden on soft, it's entirely possible he simply outclassed a weak field of Hamilton non-winners there. Ground issues aside, Maputo has a lovely progressive profile, and this is his distance as well. He'd certainly be capable of winning a decent ground 'normal' Group 2, but the presence of Cirrus des Aigles and softish turf is enough for this punter to push his chips in another direction. Then there's Planteur, winner of the Group 1 Prix Ganay in 2011 when trained in France by Ellie Lellouche, and third in this year's Dubai World Cup. He's had a lovely break through the summer, with just a 'penalty kick' Group 3 win at Windsor towards the end of August keeping him away from his hay. He'll be pitched at some valuable races this autumn/winter, and could yet take in the Breeders Cup Classic, a race for which he's a 25/1 shot currently with the British bookies (and a race where the top two in the market, Game On Dude and Fort Larned, CANNOT POSSIBLY WIN). There are two small niggles with Planteur. First, like Cirrus, this is not his ultimate goal, but rather a prep for the bigger battles ahead. And second, he does have a tendency to run well without winning. In his last eighteen runs, he had 'just' four wins. And seven second or third placed finishes, including in Group 1 company. This step down to Group 2 might be enough for him to score again, and he's respected, but I'm more interested in him in his next race, hopefully at Santa Anita. Mandour is also a player, providing it's not too soft. He won well in the Listed Gala Stakes at Sandown three starts back, and since then has had excuses. 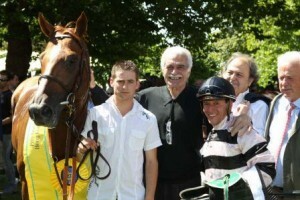 First, he was given way too much to do in a slowly run race behind Petit Chevalier and CdA at Deauville, and then he sunk in the Prix Foy bog behind Orfevre. If eight or more go to post, Mandour could be a bit of each way value, assuming the ground is good or better. Noble Mission will enjoy some give, and this full brother to Frankel could prove up to Group 2 level in a soggy context. His form on quicker than good reads 24443, while on good or softer it's 21121231. There is an argument to be had about his optimal trip, and whether it might be a quarter mile further than this, but I suspect this could be his best, despite the majority of his races being at a mile and a half. London Racing Club's annual 'international night' offered a chance to aggregate clues for the big end of season events, the Arc, Champions Day, the Breeders Cup, and the Melbourne Cup. With a strong panel of international specialists, it was an intriguing night. Treve, Meandre and Leading Light added to the field at supplementary stage. AB Likes Secret Gesture, wish The Fugue was in this spot. Tasaday of interest too. AB Seismos on a line through Novellist has a great chance IF he stays. Going a mile further than before. AB This has been the plan for Soft Falling Rain all year, and he put in some great fractions mid-race last time out. And don't forget Maxios, top French runner who won the Moulin. NS Toronado has a question to answer after York; ditto Dawn Approach at Goodwood/Epsom. Soft Falling Rain is the 'now' horse. Sky Lantern also a player if she runs. AB Surprised that Ron The Greek is 12/1, as he's a "proper horse". Fourth in the Classic last year. Fort Larned is a chuck out. Declaration Of War and Planteur might be interesting against them. TS Wise Dan is the favourite, though there isn't a market over here just yet. AB/NS Princess Silmar and Royal Delta in a match. Princess not quoted, and there's talk she won't run. NS Brilliant that Vorda will head for this. She's got closer to No Nay Never than anyone else. AB Chrysellium might go too. Tapestry is interesting also. AB Marketing Mix beaten plenty of time, and it looks like a Euro benefit. Dank the obvious horse, with Stoute and Moore teaming. "Dank the bet of the meeting". AB Voleuse Des Coeurs has a nice profile for the race, but you need to check to see if the horses are still entered on Tuesday before betting. Tres Blue is the horse for Adrian. NS Red Cadeaux probably will have too much weight, but he does love Flemington. Puissance de Lune was impressive last year, but seems to have plateaued out a bit. He's being very gradually aimed at the race, but is ridiculously short.